The Force is back. And it’s ready for a fight! Star Wars fever has definitely been building up in our house in anticipation of The Force Awakens. 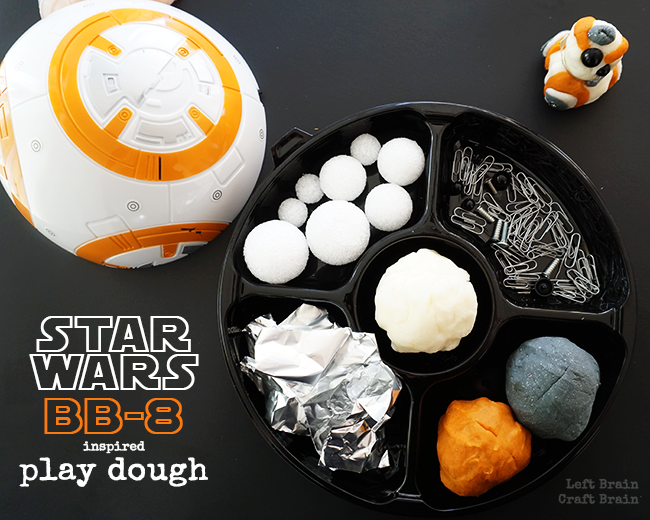 So I pulled together a few droid parts for my little Darth and laid out this BB-8 Play Dough Invitation to Play. This post contains affiliate links. Are the kids (or you) Star Wars fans? We are! 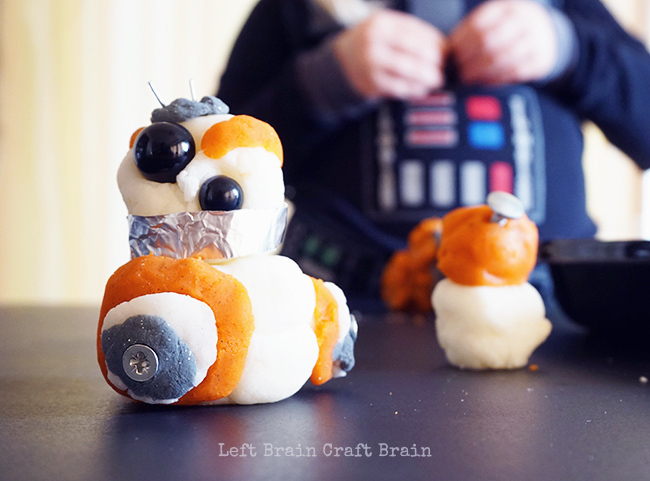 We’re kind of a Star Wars family… Tag @leftbraincraftbrain on Instagram if you want to share your Star Wars family pics with me. 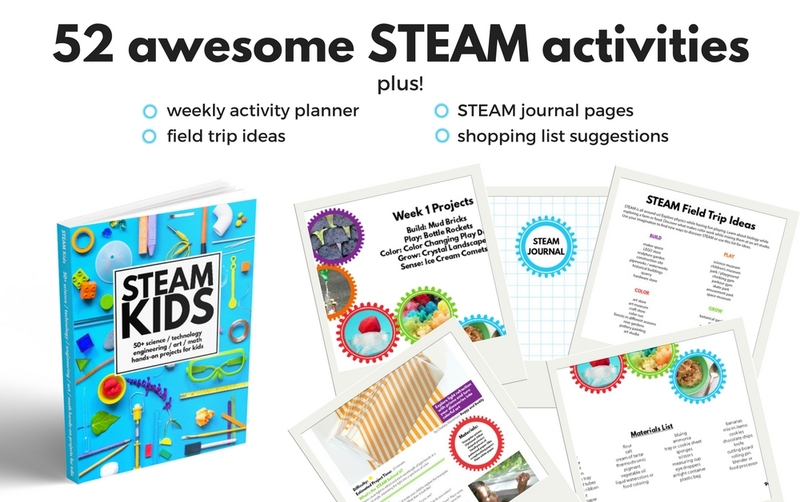 I’d love to see the fun stuff you’ve been doing. I added a few styrofoam balls to the tray on a whim. Those were a definite winner! 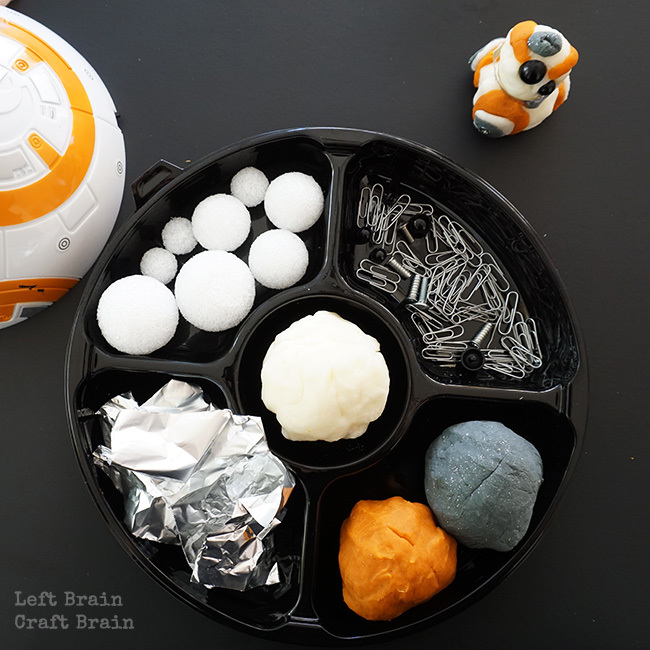 They make the droids light than a huge ball of play dough and the paper clips can push through and stick them together. The droids became sturdy enough for a good play session. Stir in water and oil until combined. Add food coloring until desired color is achieved. 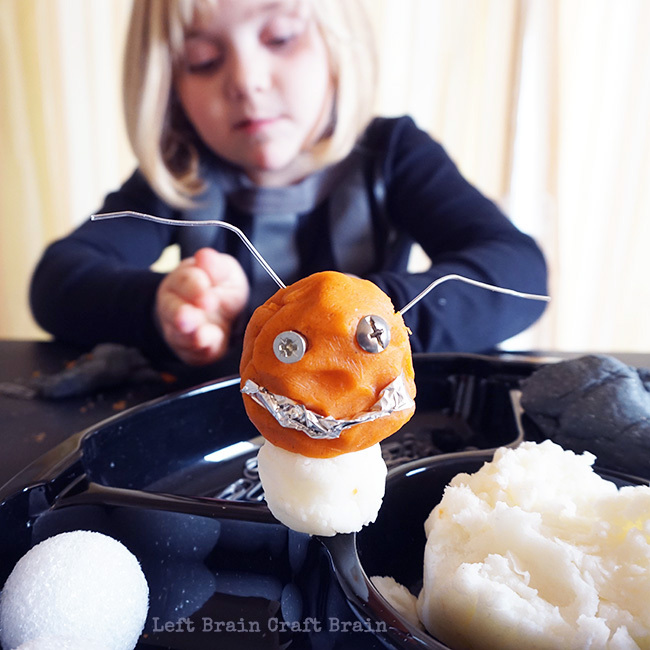 Remove play dough from the pot and place on a plate or cookie sheet to cool. Cover with a paper towel or dish cloth so it won’t dry out. Once dough is cool enough to handle, knead dough until smooth. For the silver play dough, add silver glitter and knead until mixed. Once dough reaches room temperature, store in an air tight container or zipper bag. 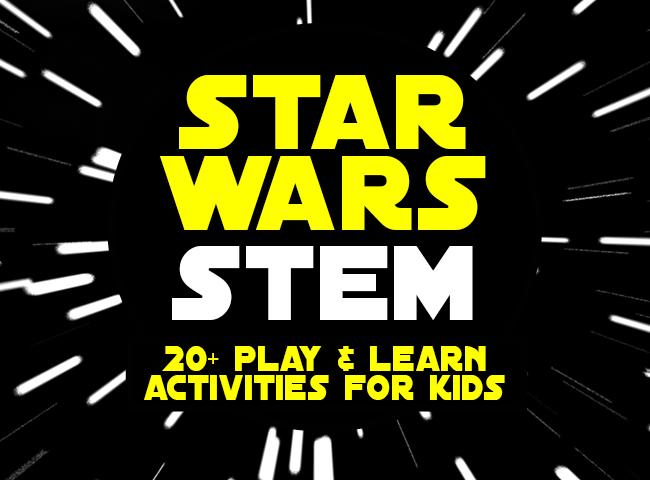 In honor of the new movie, I’ve rounded up a bunch of Star Wars STEM projects for you and your kids. 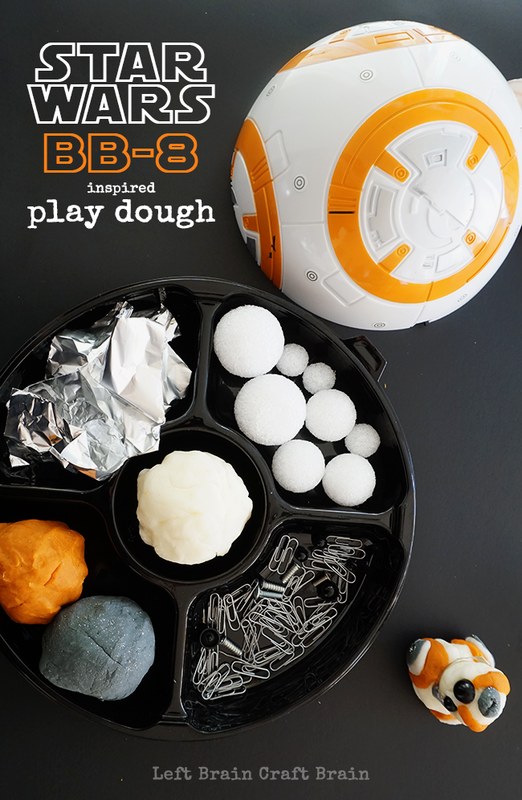 Awesome stuff like lightsaber math, X-Wing Fighters made out of office supplies and the coolest lava slime you and Darth have ever seen.